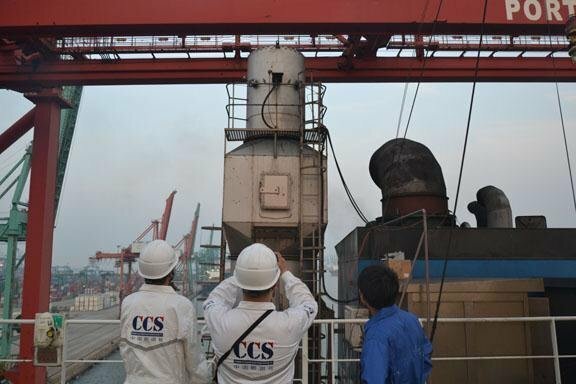 Ship repair coordinator Newport Shipping Group has made a clever move ahead og the global sulphur cap, purchasing 100 scrubbers with options for an additional 100 units from Chinese scrubber manufacturer Weihai Puyi Marine Environmental Technology Co (Puyier). The bulk purchase of scrubbers, which Newport says is aimed at safeguarding shipowners against any price hikes or production bottlenecks as demand increases, coincides with the signing of cooperation agreements with engineering services providers Harris-Pye and Goltens. Newport CEO Erol Sarikaya said: “Together with our existing global network of drydocks, we can now offer the marine industry its first-ever turnkey scrubber retrofit solution. We are providing shipowners with a true one-stop-shop for equipment procurement, engineering, guaranteed retrofit slots, and attractive deferred payment plans covering up to 60% of the total contract cover over 18-months subsequent to retrofit completion. Newport’s 200 scrubber play comes as shipping executives are increasingly aware of the scant time available now to get a scrubber installed on their ships with less than 15 months to go until the 0.5% sulphur cap comes online.